The cloud is a way to manage geospatial data and location information. Data can be collected, viewed, disseminated from any device using the cloud. 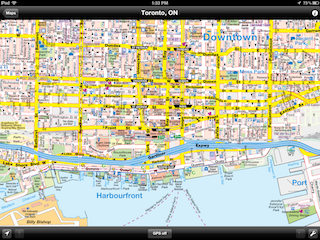 Interactive maps allow users to visualize, search and explore media. Large datasets can be held in the cloud and used at will, allowing for more people to collaborate on geospatial projects. The cloud has enabled us to do all these things and to use large datasets that were previously not accessible and to share our findings with more people. What is your organization doing with the cloud and collaboration? How do we meet the needs of the challenging data requirements of today? What technologies help access and disseminate geospatial data so that it can be useful to many? Sharing data is now possible: is it happening and will it really happen? Does the cloud endanger job security? Whether you are a user, technologist, vendor, visionary or other, do send your thoughts to me at susan.smith@ibsystems.com About 700 words, images are welcome, all to me before February 12th. This entry was posted on Friday, February 5th, 2016 at 8:04 am. You can follow any responses to this entry through the RSS 2.0 feed. You can leave a response, or trackback from your own site.